Latest hospital update. 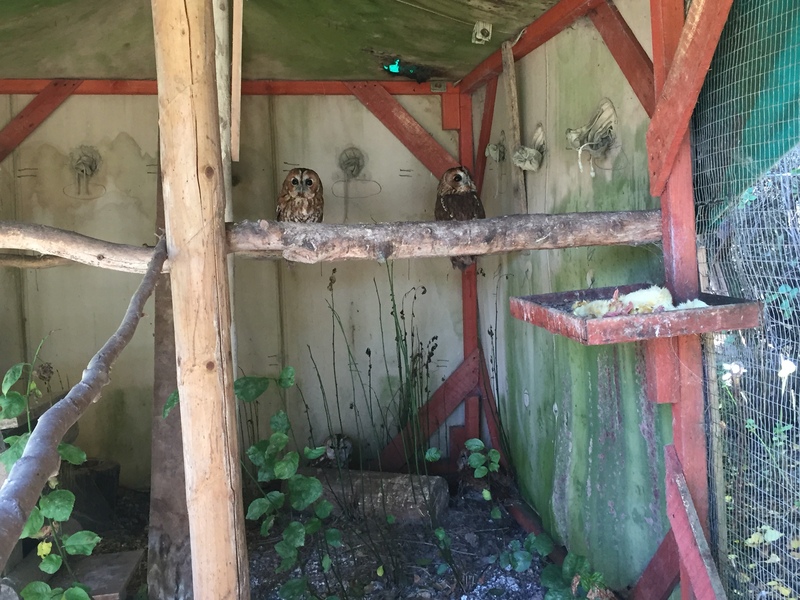 Congratulations to all of you who successfully spotted four juvenile tawny owls in our release aviary. If you are still wondering where the fourth one is, you must look carefully in the bottom right hand corner of the aviary. That is the hardest one to spot! They have now settled in well and will be released soon. Great news regarding our two juvenile buzzards. They were successfully released from a site in Suffolk over the weekend. Following their release, they were watched circling the skies for about half an hour, before joining up with three other buzzards already in the sky a short distance away. Since then they have been seen on two separate occasions still together in the area as a group of five. It’s normal behaviour for buzzards, and red kites, to colonise over the winter. Good luck to them. It had been our intention to release the little owls at the beginning of this week, but with strong winds forecast over the next few days we have postponed that release till later in the week. Visit us again soon to see our two barn owl chicks rescued last week.